Do you remember PrestaShop 1.6 and it's homepage tabs? If not, screenshot below shows them. Unforutnately new classic theme in PrestaShop 1.7 does not support this feature anymore. In this tutorial I want to show you how easily you can activate this option. Other guides related to this tutorial will show how to display homepage featured products, new products there. Image below shows feature that we will activate in brand new PrestaShop 1.7 in "classic" theme. The same guide can be used of course in other templates too. If you dont want to modify your PrestaShop files you can order module that will create all these things described in this guide automatically. In addition, homepage tabs module can be places between other modules on your homepage (this tutorial allows to display tabs below or above other modules only). 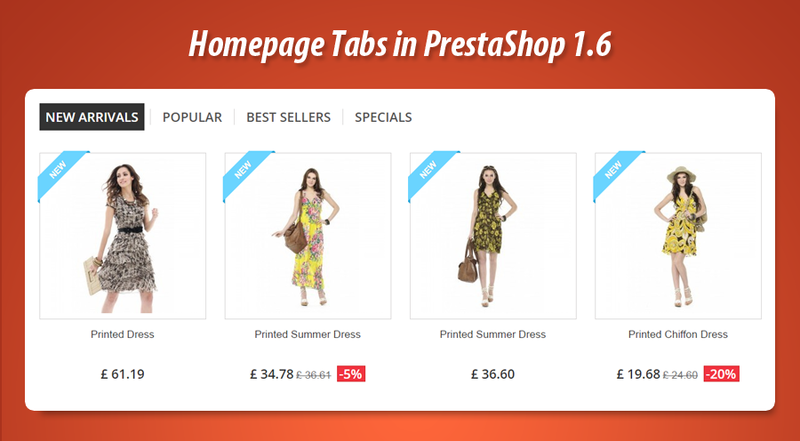 How to create homepage Tabs in PrestaShop 1.7? Modified code contains snippet that will display homepage tabs once you will use some modules in these hooks. Homepage tabs section without modules will be empty, so you will not see there products etc. It's because now it is time to associate modules with homepage tabs feature that we created. 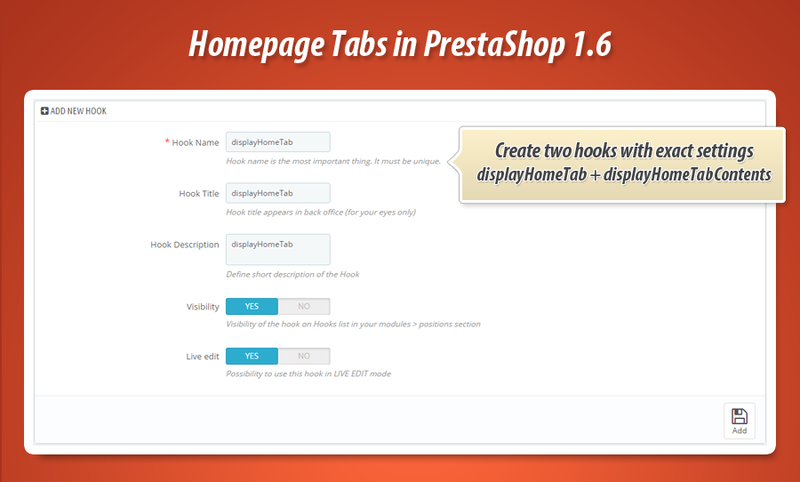 How to associate modules with homepage tabs in PrestaShop 1.7? I created free modules that you can use in your PrestaShop 1.7. Links to download are available below. Just download, install and configure modules. They will appear inside "homepage tabs" feature.